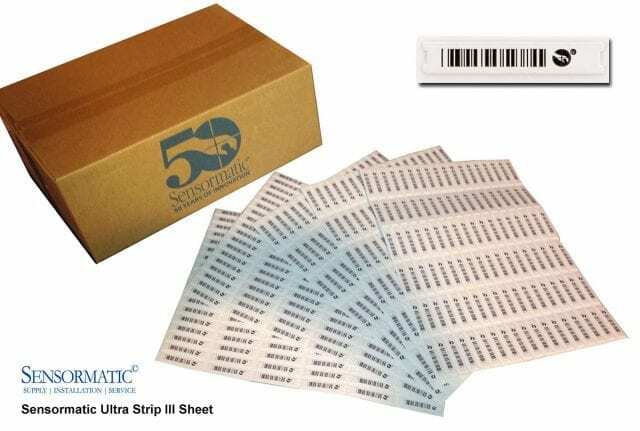 This permanent source tagged Ultra•Strip III Individual Label is intended for manual application directly to the product or product packaging. This label is not designed to be “dropped” into product or product packaging. This is the perfect security label for Perfumes, Cosmetics, High-end Beauty Accessories as well as DVD’s, and CD’s. 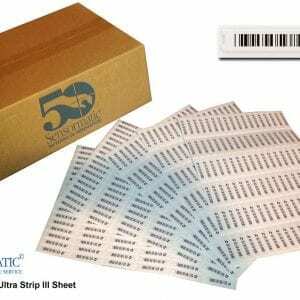 Boxed ………………………………….. 5,000 labels per box.